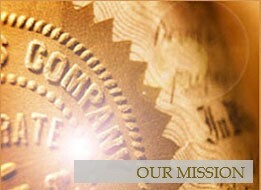 Homepage -- Lucky Star Alloys W.L.L. 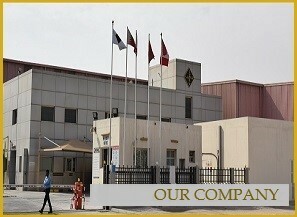 Lucky Star Alloys is a leading integrated metal recycling facility located in the heart of the New Industrial Area of the state of Qatar. 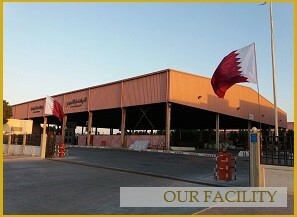 The recycling facility is designed to process more than 40,000 metric tons of recyclable metal scrap on an annual basis to cater to the growing recycling needs of the state of Qatar. With quality management criteria and advanced technologies that surpass the average global industrial standards, today Lucky Star Alloys has risen to become a benchmark in the regional industry. 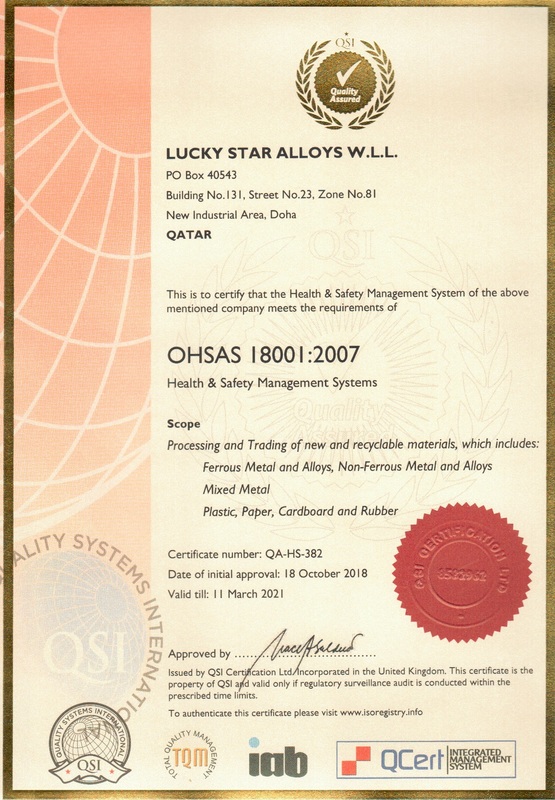 We are proud to announce that Lucky Star Alloys have been awarded OHSAS 18001 certification for the Health and Safety Management Systems. 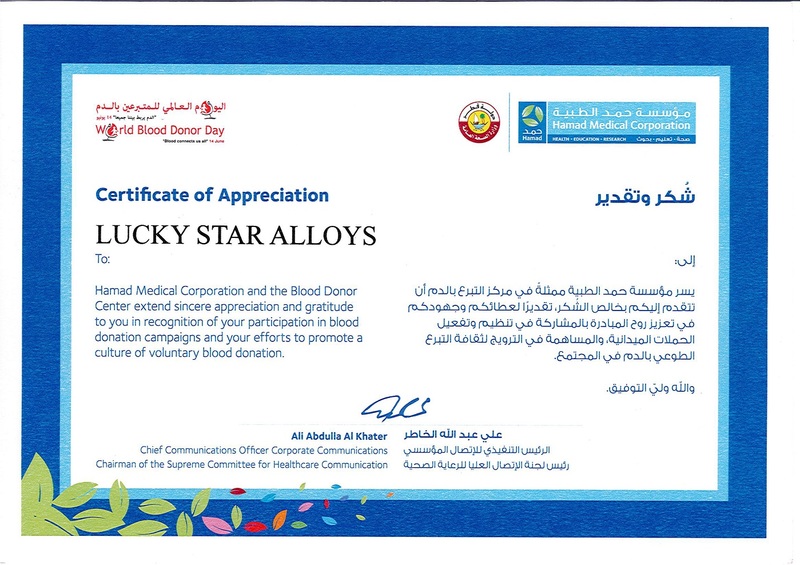 As part of its commitment to support the local community and its responsibility as a global citizen, Lucky Star Alloys organized a blood donation campaign at its recycling facility in Doha for its employees and guests. Lucky Star Alloys organized a Leukemia Awareness session in collaboration with QCS at its recycling facility in Doha for its employees. 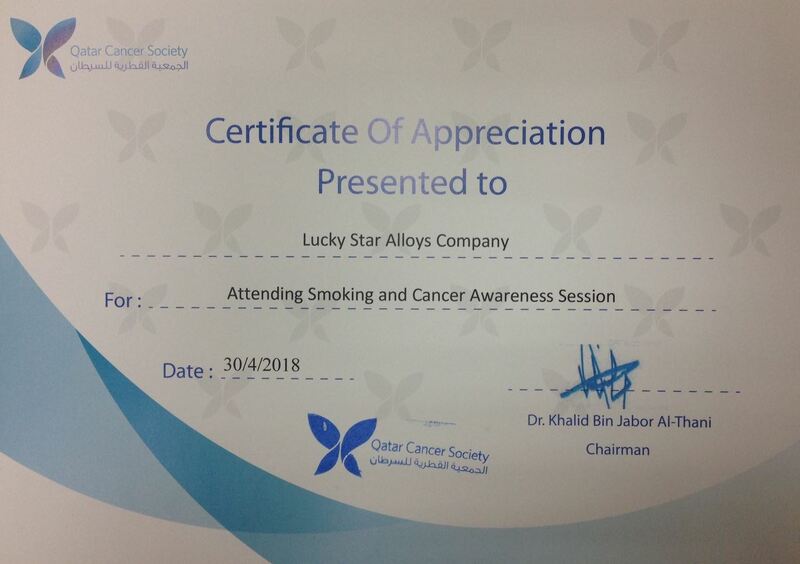 Lucky Star Alloys organized a Smoking & Cancer Awareness session in collaboration with QCS at its recycling facility in Doha for its employees. Lucky Star Alloys is proud to participate in the Global Recycling Day on 18 March, 2018 (an initiative of the Bureau of International Recycling).